I was going to post this picture another day, but noticed that Fenix at Bostonscapes (DP) posted a picture of the Freedom Trail today so I thought it would be a nice complement to her posting. 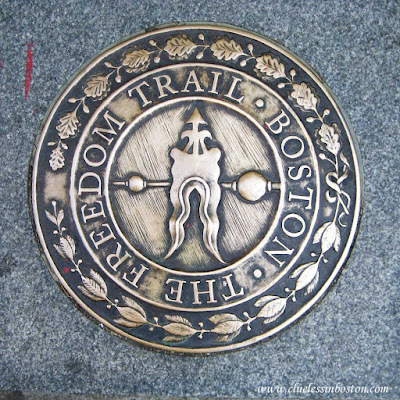 These medallions dot the Freedom Trail and are easily overlooked when following the red line. This medallion is on the corner of Beacon and Tremont in front of King's Chapel. It's great to have two CDPBers in Boston, I think. Here is what TriMet dot org has to say about the MAX: TriMet's MAX Light Rail system connects Portland, Gresham, Beaverton, Hillsboro and the Portland Airport. Trains run every 5-15 minutes roughly between 4:30 a.m. and midnight.